Brunhoff, Jean de. 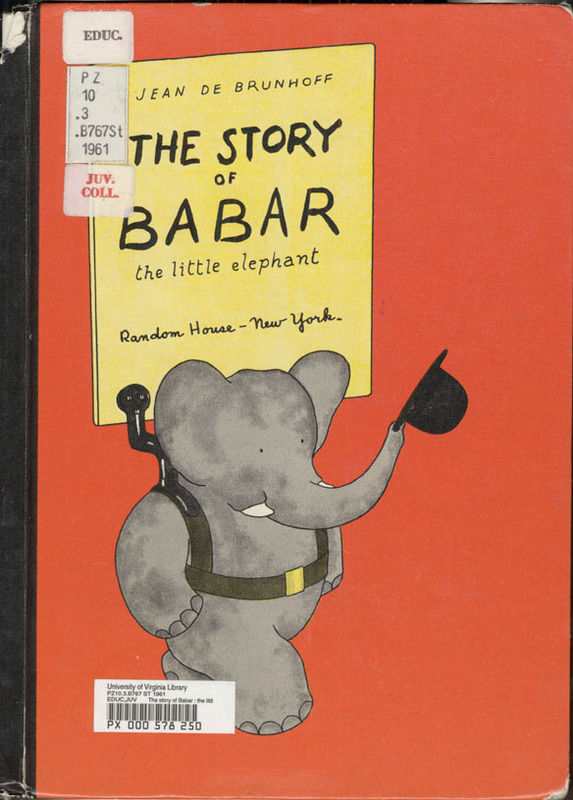 The Story of Babar, the Little Elephant. Trans. Merle S. Haas. New York: Random, 1961. 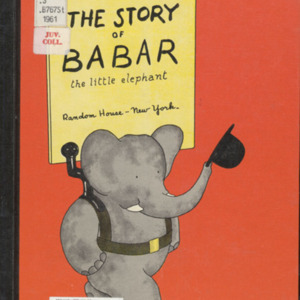 “The Story of Babar, the Little Elephant,” University of Virginia Library Online Exhibits, accessed April 23, 2019, https://explore.lib.virginia.edu/items/show/633.